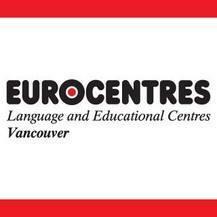 Eurocentres Canada, with locations in Canada's top study destinations of Vancouver & Toronto, is dedicated to your student's success and we are confident that our commitment to excellence will give them the key to pursue their language goals. Since 1990, we have been providing international students with quality language training, the highest level of services, a caring individualized learning environment and the best of Canadian culture and hospitality. We offer a well-balanced mix of students from Europe, Latin America, Asia and the Middle East, fabulous purpose-built facilities that are designed for student-learning needs (student lounge with stand-up internet terminals, learning centre, computer room (wireless access), roof-top courtyard (Vancouver), and comprehensive personal and academic support from trained and qualified staff members. Our full-range of adult and junior programs include: General English (20, 25, 30 lessons per week) / Exam Preparation (Cambridge, TOEFL, TOEIC, IELTS) / University Success Program / On-Campus Summer Program (University of British Columbia & Ryerson University) / Winter Language Holiday (Ski / Snowboard & Winter Activities) / Work & Study Program / English plus Work Experience, Internship / Winter Youth Program and custom designed group programs (summer & winter). We are accredited by Languages Canada . I highly recommend Eurocentres, I had a great experience with a warm environment very profesional teachers and all the staff ready to help and support the students, the school has a very convenient location and the classroom always clean and organized, the tools are useful and easy to use. I’m taking IELTS course. The course’s teachers have a lot of knowledge about IELTS because they often work as IELTS examiners, so we can learn how to get high score efficiently. Probably, the writing is one of the most difficult parts to get good marks on IELTS, and it’s hard to learn myself. However, teachers check our writing skill for the exam every week, and they teach us how to fix our essays, so you can practice your writings continuously. Plus, we have practice test for IELTS every month without extra fees, so I think the course is really helpful for every IELTS candidates. I've only stayed here for two months but it was as worthy as it gets. Teachers and students are really welcoming, the facilities are great, and the courses are really good. It is a little pricey, the course and also the activities. But that's expected. The school environment was awesome. It is very inclusive, diversified and multicultural. School is located in downtown, very close to waterfront station and with a lot of facilities around. Teachers are usually dynamic and crew members are kind to help. This is my second time to attend this school.To be honest,I don't like this school.The reason why I chose this school again was just because some of the teachers helped me improve my English skill a lot.I deeply appreciated that.I think the level standard is unclear.The first time when I entered this school,taking my English skill into consideration,I think I started with much lower level class because I had noting to learn.I should've chosen different school and then,changed to this school.At that time,there weren't any interviews with a teacher in my class,so I wasn't able to tell a teacher that I wanted to change my class.Compared to those days,on the whole,I feel comfortable this time so far.But,I was disappointed with one thing.For last three weeks, my class had new second teachers.Frankly speaking,their classes weren't good.I can't understand the reason why school gave the highest level class the unaccustomed teachers. Before I arrived the school, I wanted to learn English especially speaking. It was good for me to learn English because every student tried to speak in English. There are a lot of students from various countries in Eurocentres and they are all not only friendly but also very kind. So are teachers here. Whenever I see many students say good things and memories on their graduation day, I always feel how memorable and irreplaceable their experiences are here for them. You can learn something valuable as well as English in Eurocentres. Eurocentres is a school with an amazing staff, professional and devoted teachers. The classes are dynamic and useful. I think i couldn't be preparing my CAE exam in a better place. It is located in downtown. The teachers have high skills in teaching. I'm not satisfied with the facility completely because the number of the washrooms and the microwaves are not enough. I met many friends from all around the world through the amazing activities that the school organize. The teachers are friendly and make the environment very nice to learn and study. I spent a lot of time with my friends doing incredible things like traveling around Vancouver to discover the amazing nature that is offered.